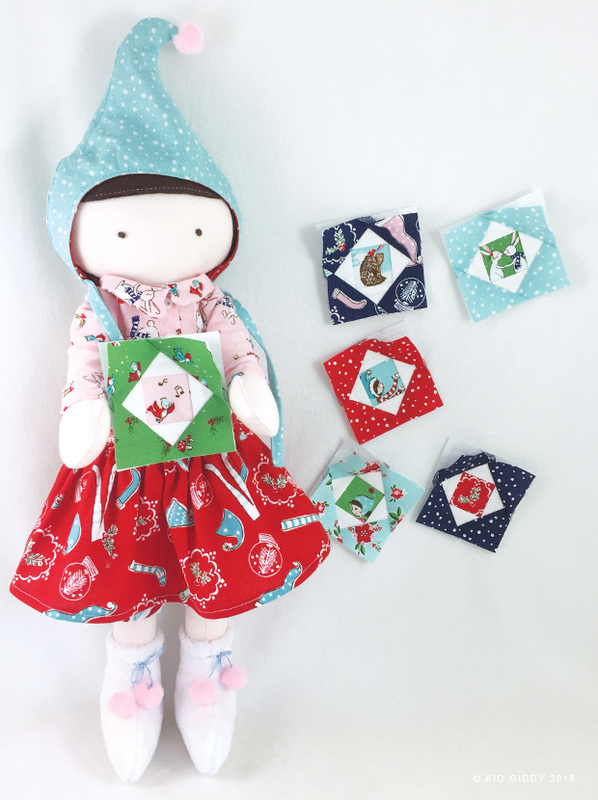 I'm so excited to share what I made using Tasha Noel's newest fabric line Pixie Noel with Riley Blake fabrics for Tasha's Pixie Noel blog tour. This fabric is adorable and so great for multiple holiday sewing projects with all the various colors and prints. I always enjoy getting the fabric and being inspired by it. This line was no different. I couldn't resist making my own "Pixie", since gnomes and I go way back. This little girl, Crystal, is always cold and loves to quilt with her hat on. Right now she's debating which fussy cut center to use in her next block. 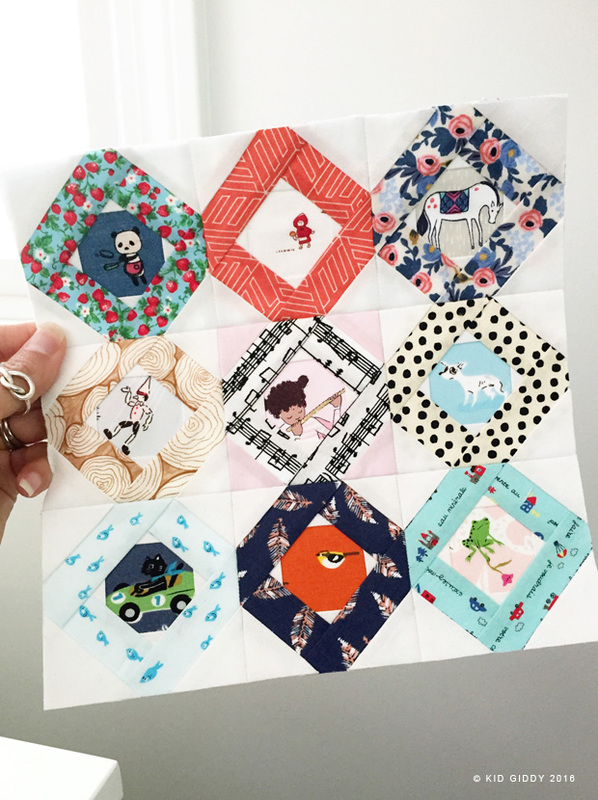 Crystal has made 6 blocks already and thinks this one with the little birdie singing in the center is her favorite so far. She has so much fun making these blocks and using all the cute pics in the centers. Crystal also enjoys making her own clothes. Here's her newest outfit...a button down collared shirt, with a skirt and striped bloomers. When she's warm, she scrunches the bloomers up a little like capris, and when she's really cold, she will tuck them into her boots. Her reversible hat and fuzzy mittens and boots, keep her cozy warm in the studio. Luckily they match all of her outfits, so she only has to make more when she wears them out. 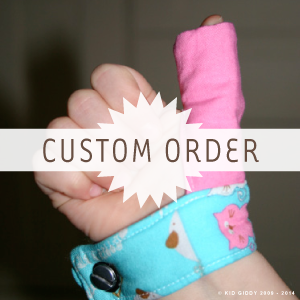 Maybe tomorrow she will make herself a little dress...or some more fussy cut blocks? Thanks so much for visiting and sharing in my Pixie Noel creations and thanks so much to Tasha and Riley Blake Fabrics for asking me to be a part of your Pixie Noel tour! The doll, and all of the doll clothes were made using my Kid Giddy Sizzix: Doll and Doll Clothes die cuts. The boots and mittens were made using my Doll die as well, with a scant seam allowance. 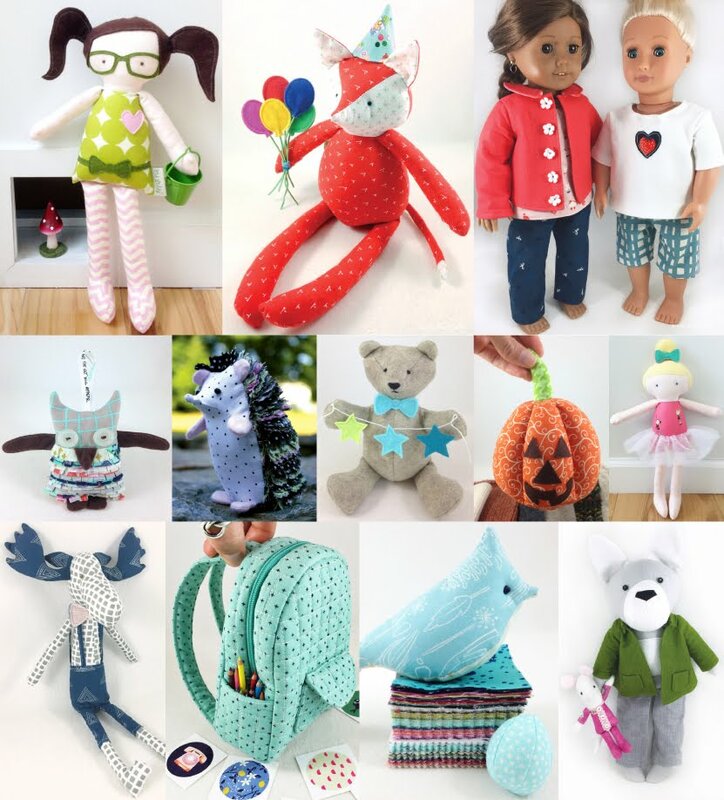 Please visit the link above for more info and to see multiple videos to help you create your own one of a kind dolls and stuffies. 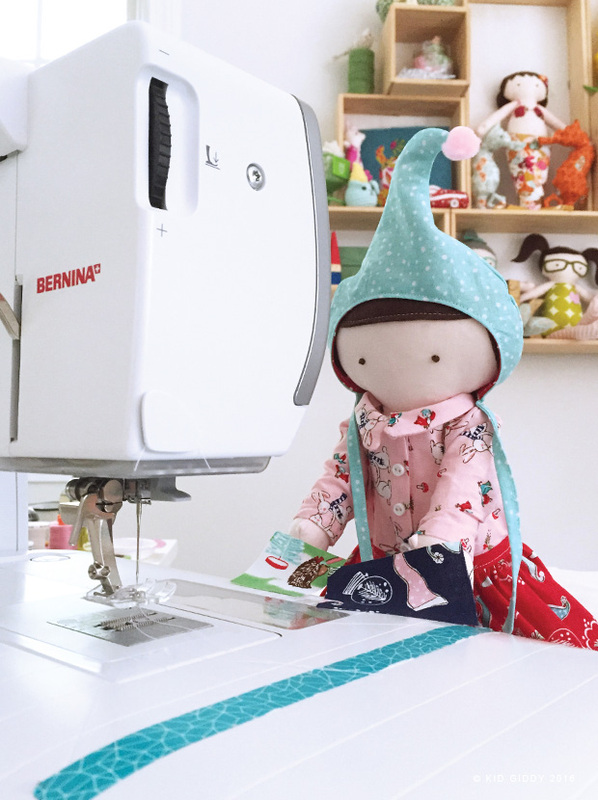 Want to come sew dolls with me? 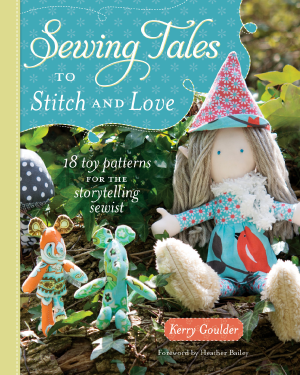 I'll be teaching all of my tips and tricks for doll/fox making and doll clothes sewing this August at the Kid Giddy Missouri Star Quilt Co Retreat. It's not too late to sign up and come have fun sewing with me! 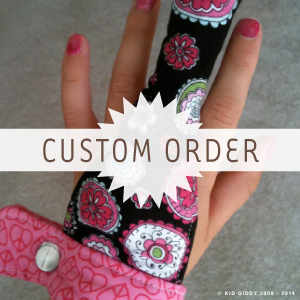 Disclaimer: I received fabric from Riley Blake Fabrics to use for this project. Opinions are my own and there are no affiliate links. Thank you. 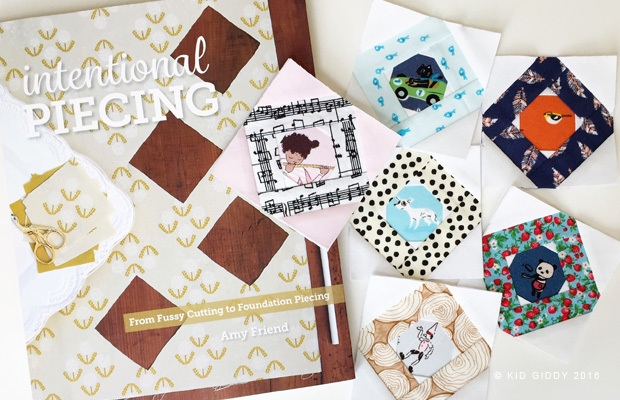 I was so excited to hear that Amy Friend (During Quiet Time) had written her first book (Intentional Piecing) and couldn't wait to get my hands on a copy of it. 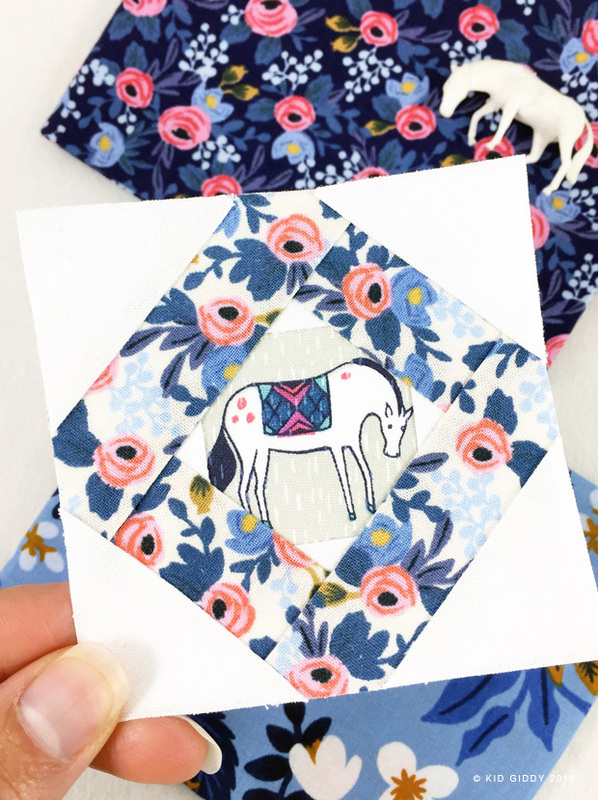 I found Amy and her paper piecing work as I began the journey of learning how to design my own foundation paper piecing designs when making a swap quilt. 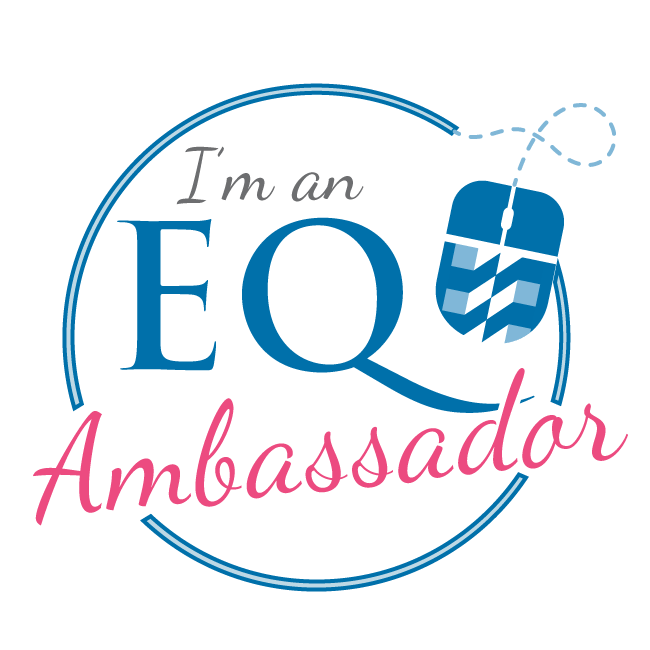 We connected through social media, eventually met at quilt market, and became east coast quilty friends. I participated in her Tell Me Story block challenge and had fun making up stories for each block (you can see each block and it's story throughout my Kid Giddy IG feed). Because I love to work small and fussy cut cute little images from fabric - I decided to shrink Amy's original block pattern by 50%. 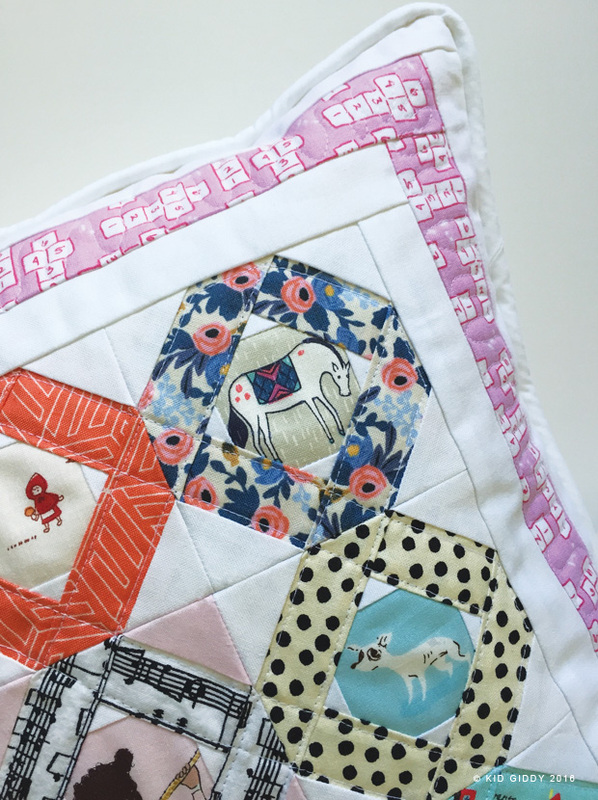 My blocks finished at 3" and went together as a basic 9 patch, which worked perfectly for a decorative pillow. I added 3 borders, quilted the blocks and then quilted hopscotch print. I added cording to the edge for a tailored finish, because it's just better that way and finished it as a basic envelope pillow. Amy's book is not all foundation paper piecing. 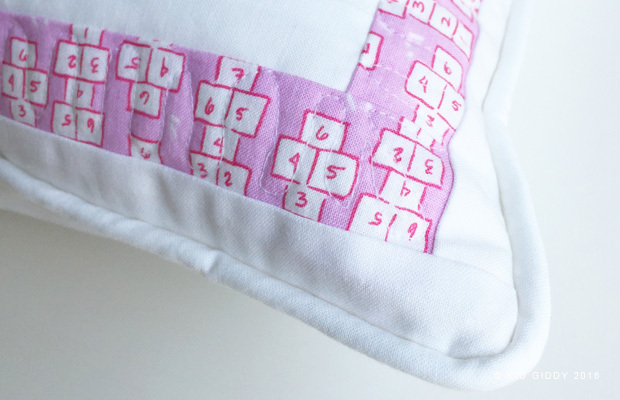 There are other great projects to make and piece together, using selvages or fussy cut prints and having fun. What I learned from this book - I need more fabric! Lol. 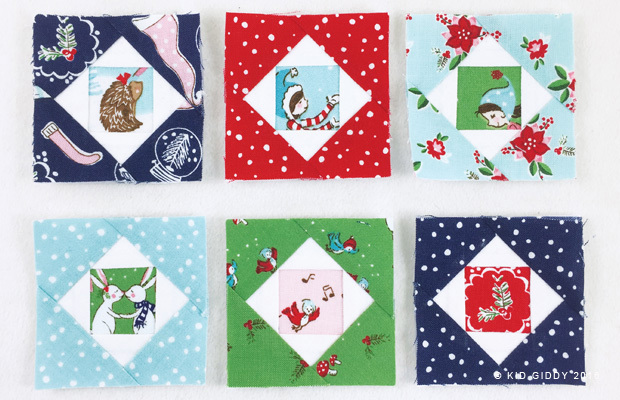 When I had an idea for the fussy cut center, I felt I didn't have the best fabric for the outer border or vice versa. So I will fix that situation right away. Next up - the TeePee block! 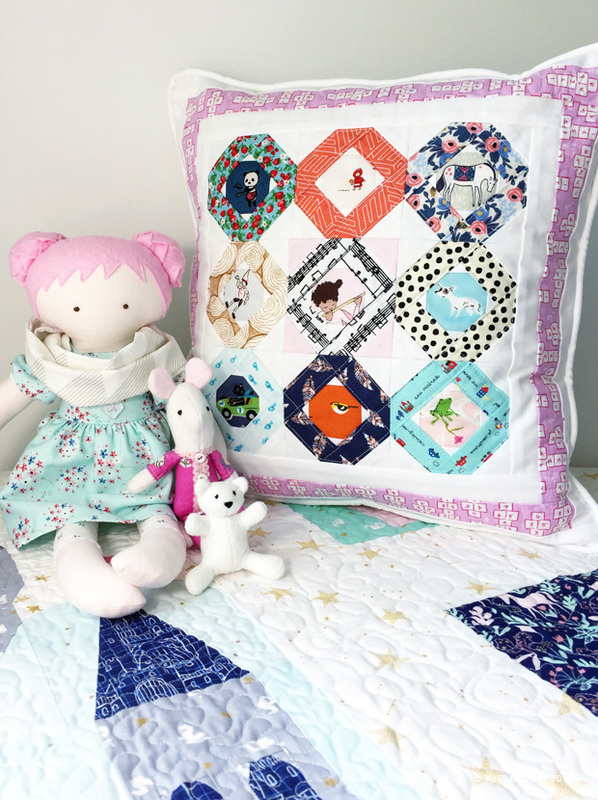 Have you tried paper piecing and seen Amy's book yet? You can purchase a copy of her book through Lucky Spool and get 30% off using the code "FRIEND30". Thanks for stopping by! Disclaimer: I received a copy of Amy's book to read and make a project because she's an awesome friend, but my opinions are my own. No affiliate links.